Facebook, Twitter, and Myspace are all internet tools celebrities use to reach their international fan base. The internet has proven to be an excellent and efficient social marketing tool. With proper usage, ardent fans can follow their favorite celebrity’s every move. While making stars more accessible, the Web has expanded their ability to push philanthropic and humane issues. 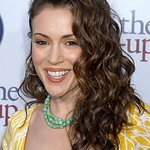 In early December, Alyssa Milano used her celebrity power to aid charity:water. The international organization provides clean drinking water to communities in developing nations. Instead of requesting gifts for her 37th birthday, Milano requested that friends, family, and fans, donate money to fund several clean water projects. The online fundraiser raised over 1,400 donations totaling $92,000. As we enter a new decade, it may soon become the norm where celebrities raise money and bring awareness to causes all from the comfort of their personal computers. To create your own fundraising page visit MyCharityWater.